Now in paperback. 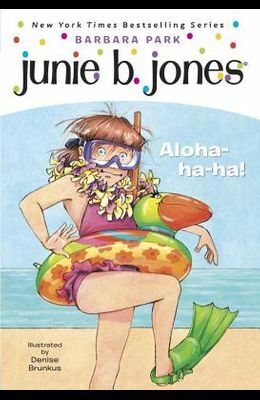 Junie B. and her family are going on a vacation to Hawaii--and Mr. Scary is giving Junie a real, actual camera to keep a photo journal of her trip. But taking good vacation pictures is not always easy. Illustrations. From the front Cover Halloween with Junie B. has got to be a scream! Get ready for a Halloweenie adventure with the world's funniest first grader! Despite Junie B. 's ascent to the rigors of first grade, Park's feisty, funny heroine retains her trademark use of language, mirthful malapropisms, and essential larger-than-life personality.--Kirkus Reviews First grade offers a whole year of exciting possibilities for Junie B. . . . As always, Park is in touch with what kids know and how they feel.--School Library Journal From the Hardcover edition.